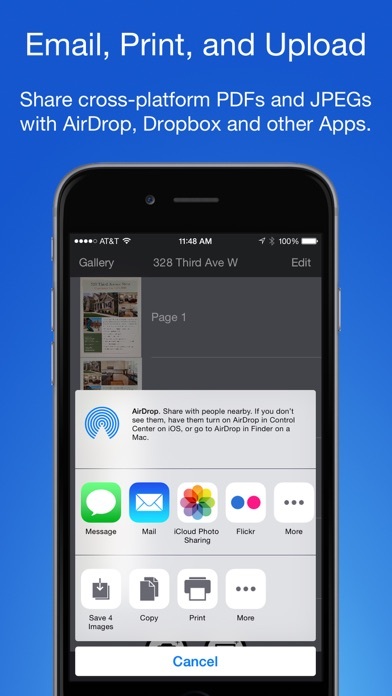 Just snap a photo of your document, and get a PDF file you can instantly send to your colleagues, all from your iPhone or iPad. That processor in your phone is quite a little monster. 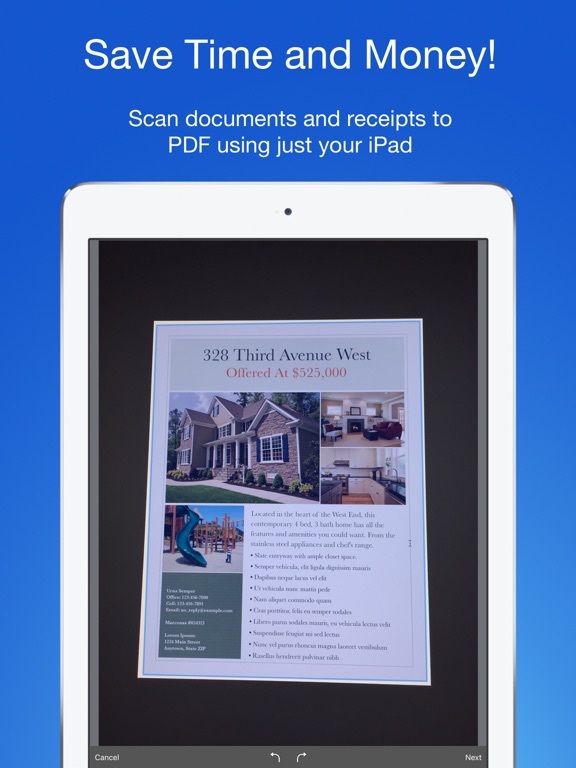 Smart PDF Scanner uses it fully to make the best possible scans. Even full-page articles come out tack-sharp and easy to read. 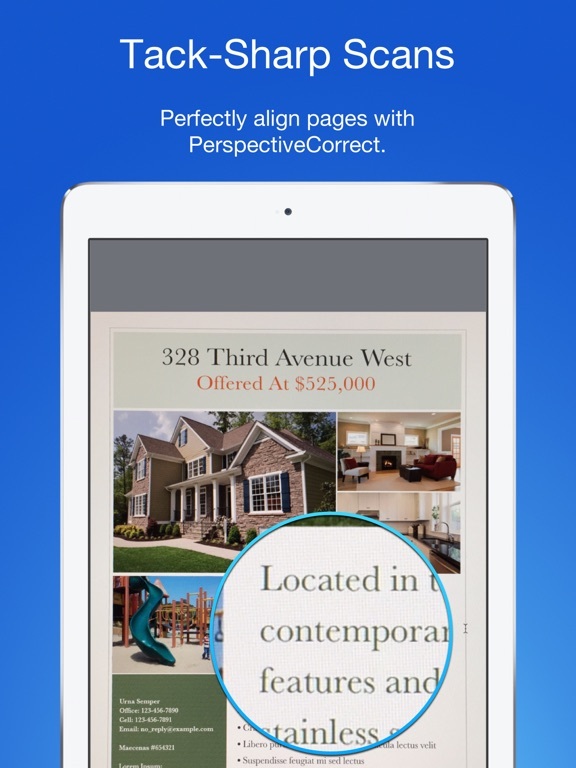 It automatically detects the page edges and corrects for perspective. Pick full-color scans, grayscale, or black-and-white for maximum legibility. FlashAssist can take perfect scans even in poor lighting conditions. You can even change the correction and enhancement settings after the fact. Scanning is just half the problem. You need a good way to keep all your documents organized, and easy to find later. 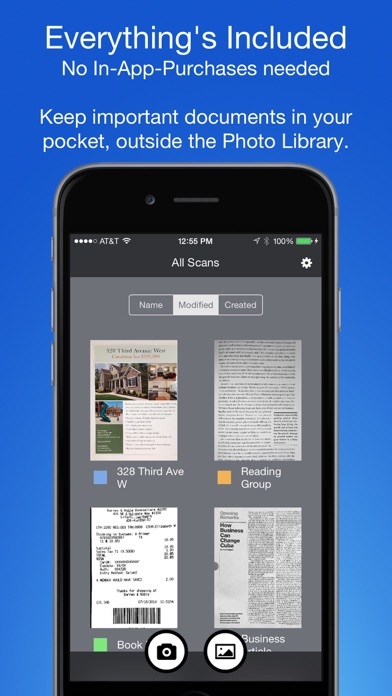 Smart PDF Scanner uses a simple tagging system that is much easier and more powerful than the regular folder system. 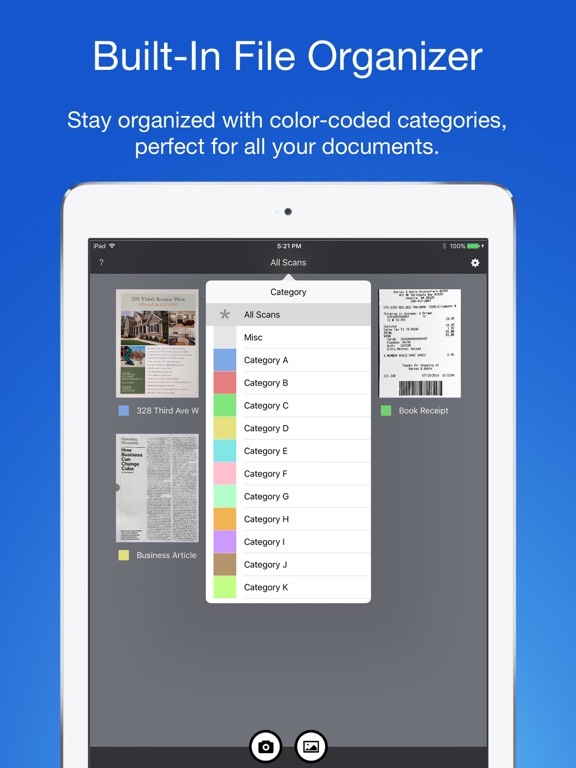 File documents under custom color-coded categories with just a couple taps. Browse and sort files by category with a couple more. It's the way filing should work. 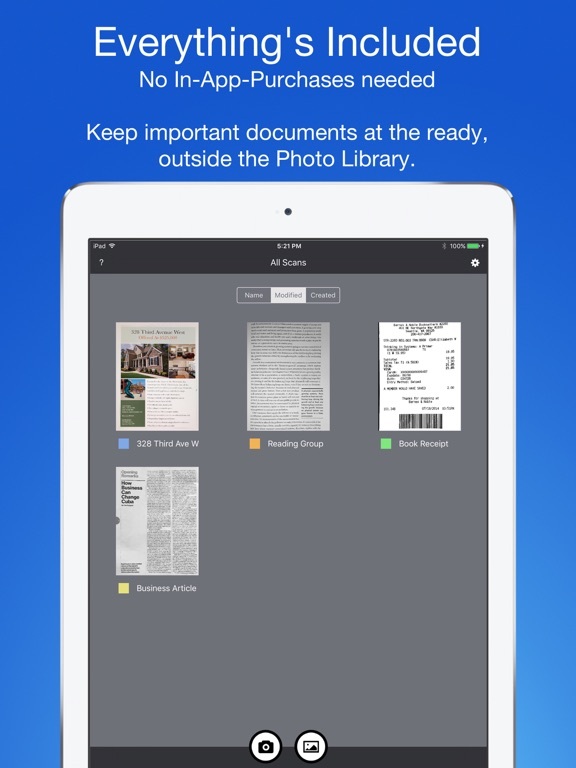 Export scans as PDFs or images, and email or print directly from the App. 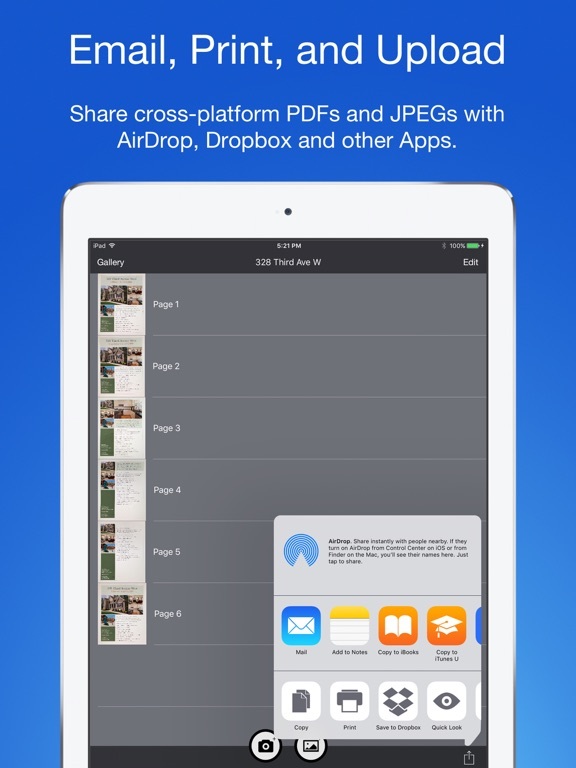 Files can also be shared via AirDrop, or sent to another App. Easily upload to Dropbox, Google Drive, and other cloud services with the corresponding third party App. Send PDFs and images to services such as Evernote or OneNote to take advantage of their OCR capabilities. 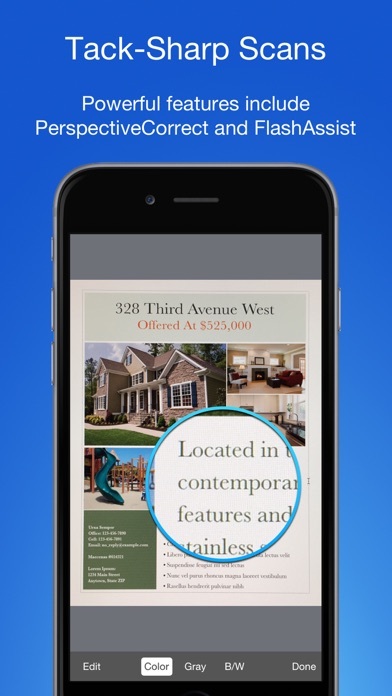 Smart PDF Scanner uses the latest technologies packed into your iPhone and iPad, but we've worked hard to make it as easy and fast to use as possible. Intelligent image processing eliminates the need for fiddling with complicated controls. That way, you can focus on getting the job done, and doing what you do best. 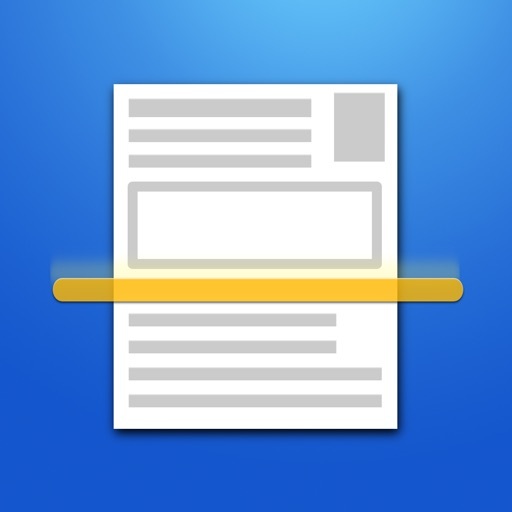 + Place your document on a darker surface to improve the edge auto-detection. + You can drag the corners of the blue rectangle to fine tune it after taking a photo. + Make sure there is adequate lighting. Use the flash in low-light conditions. 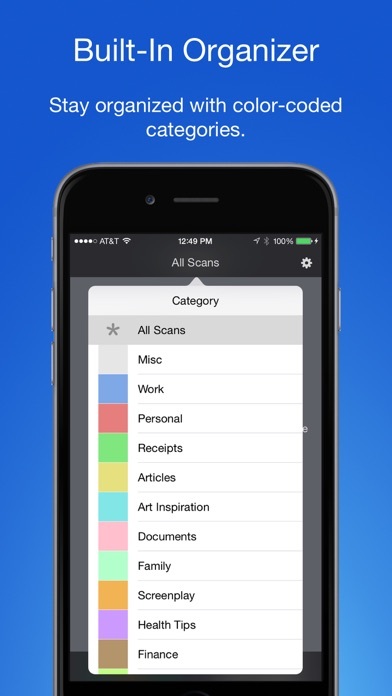 + You can tap on a page to edit its scan settings (including edges) after the fact. 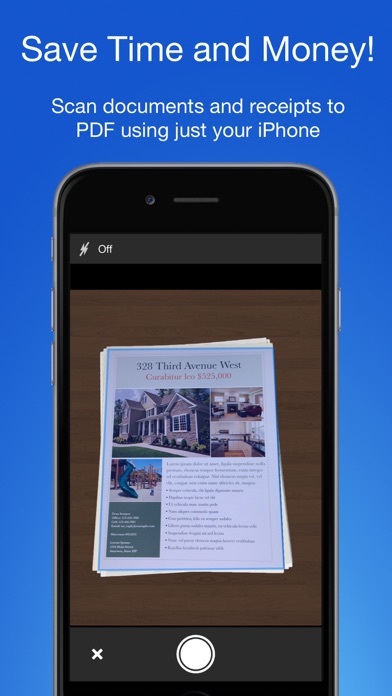 We are dedicated to handcrafting the best possible Apps for your iPhone and iPad, and we hope you enjoy using Smart PDF Scanner. If you have any additional questions, please drop us a line via our feedback page. 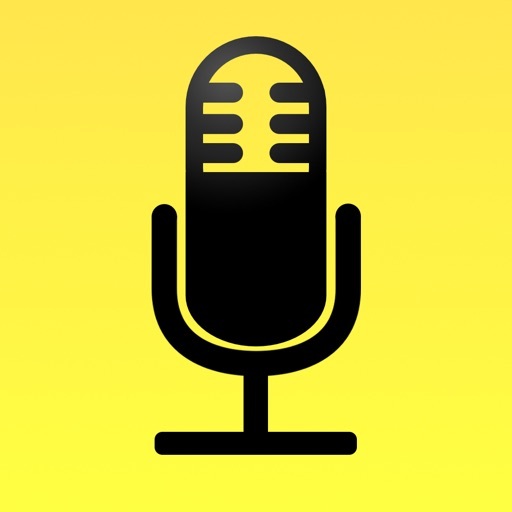 -- The App Makers @ Qrayon. + Support for iOS 12 and new iPhones.